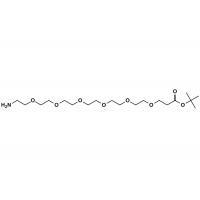 H2N - PEG6 - OH ; 1 - AMinohexaethylene Glycol ; 17 - AMino - 3 , 6 , 9 , 12 , 15 -pentaoxaheptadecanol ; H2N - PEG6 - OH ; Amino - PEG6 - alcohol. The Amino-PEG6-Alcohol With Cas.39160-70-8 is used for modifying proteins or surfaces such as beads, nanoparticles and self-assembled monolayers. 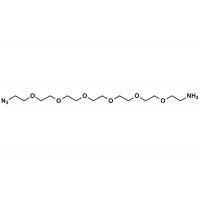 Modification of proteins adds polyethylene glycol (PEG)n spacers, which impart increased water solubility, reduced immunogenicity of the labeled molecule and enhanced in vivo stability in solution. Functionalization of solid surfaces, such as quantum dots, self-assembled monolayers and nanoparticles, with polyethylene glycol spacers significantly reduces nonspecific protein binding. 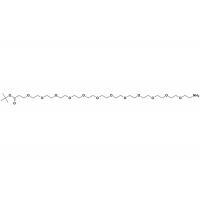 (PEG)n amine reagents used with (PEG)n amine reagents in surface modification can form a hydrophilic “lawn” of methyl ether-terminated PEGs with periodic exposed carboxy-terminated PEGs. The exposed carboxy groups can be coupled to affinity ligands using the carbodiimide coupling reaction with EDC and sulfo-NHS. Typical PEGylation reagents contain heterogeneous mixtures of different PEG chain lengths; however, our PEGylation reagents are homogenous compounds of defined molecular weight and spacer length, providing precision in optimizing modification applications. Borenpharm (Wuhan)Co., Ltd is a professional manufacturer of high quality Polyethylene Glycol ( PEG ) and PEG Linker products, , located in East Lake New Technology Development Zone of Wuhan, China, Biolake, or the Wuhan National Bioindustry Base, is an industry base established in 2008 in he optics Valley of China, Biolake covers 15 square kilometers, and has six parks including bio-innovation Park, Bio-pharma Park, Bio-agriculture Park, Bio-manufacturing Park, Medical Devic Park and Medical Health Park, accomodate both research activities and living. 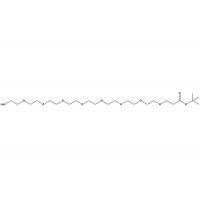 Since 2013, Borenpharm focused on the development and production of various small molecule PEG, PEG Linkers, an advanced biochemical reagents, and also lipids like API (Active Pharmaceutical Ingredient) as well as customized synthesis services. Our products include: Amino PEG Linkers, Azide PEG Linkers, NHS ester PEG linkers, Bromo PEG Linkers, T-butyl ester PEG Linkers, Propargyl PEG Linkers, Azido PEG linkers, Mesylate PEG linkers, Alkyl PEG linkers, Fmoc PEG linkers, Tosylate PEG linkers, Biotin PEG linkers, Fluorescent PEG Linkers, Amino(NH2) PEG, amine(NH2) PEG, NHS PEGs, Carboxylic Acids (COOH) PEGs, Biotin (Bio) PEGs, Maleimides (MAL) PEGs, Thiols (SH) PEGs, Hydryoxyls (OH) PEGs, Proected Amines (FMOC, tBOC) PEGs, Protected Amines (FMOC, tBOC) PEGs, Silane(SIL) PEGs, Azide (N3) PEG, Azido (N3) PEG, Fluorescen (FIC) PEGs, Rhodamine (RB) PEG, Lipoic acid (LA) PEG, phospholipids(DSPE) PEG, Multi-Arms(4 arm) (8 arm) PEGs, Succinimidyl Glutaramide (SGA) PEG, Orthopyridyl Disulfide(OPSS) PEG, Acrylage (ACRL) PEG, Succinimidyl Carbonate (SC) PEG, Succinimidyl Succinate(SS) PEG, Succinimidyl Valerate (SVA) PEG, Succinimidyl propionate (SPA) PEG, Succinimidyl Glutarate(SG) PEG, Succinimidyl Carboxymehyl Ester (SCM) PEG, Succinimidyl Butanoate (SBA) PEG, Azido (N3) PEG, Alkyne PEGs, Folate 9FA) PEG, Fluorescent (FITC) PEGs, Rhodamine (RB) PEG, Lipoic acid (LA) PEG, Phospholipids (DSPE) PEG, Succinimidyl propionate (SPA) and so on. More than 20 series, 700 types. Personalized products and services to provide cusomers with a significant advantage. 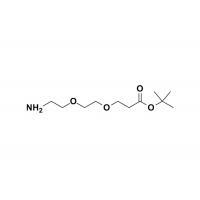 Due to the high and reliable performance, they are widely used in new drug conjugation research, Antibody Drug Conjugates linkers, chemical modifications, chemical surface modifications, protein modifications. Borenpharm brings together the world's top professional chemist and technology, has a highly qualified international personnel. Set from design the organic synthesis, comprehensive small molecule organic synthesis, NMR testing, LCMS testing, technical services are completed by professional and technical personnel. We have one R & D base in Wuhan City, cooperating with Wuhan Institute of Biotechnology, well-known institutions of higher learning and research institutions at home and abroad, and obtained a series intellectual property protections. Borenpharm have the international first class organic synthesis technology development, and constantly introduce high-level talents, advanced equipment and testing instruments, now Borenpharm have a wide range of synthetic technology and research and development capabilities, through the continuous research on the new small molecule chemical compounds. Equipped with NMR, LCMS, Agilent GC, HPLC, and other high-end production and testing equipment to ensure customer order are efficient, high quality completion. And to ensure the quality and stability of the chemical compounds, custom synthesis, mass production services and analysis services. Now Borenpharm has advanced R&D lab, with a variety of synthetic instruments, high pressure hydrogenation reactor reaction equipment, Borenpharm now can complete the mg, g, KG of orders and production tasks. We provide customers with affordable, high-quality small molecule chemical reagents, in order to achieve the advantages of quality and cost, we outsource the key material from Germany and the USA and production in China. With the high and reliable quality and good reputation, our chemicals are not only sell successfully in domestic market, and also have been introduced by many multinational bio-pharmaceutical group companies with headquarter located in European countries such as Novartis, USA, Japan, South Korea, India and so on. Our chemical reagents are subject to a great welcome and praise. Our core value is simple: to make the international new drug research and development better and faster, and benefit the international cancer patients Borenpharm provides customers with solutions to help customers optimize chemical synthesis route, improve efficiency, save the time and lower the cost of customer new R&D projects. Borenpharm is always your trustworthy partner. 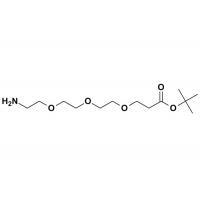 For more detailed information on our chemical products, please do not hesitate to contact us! We welcome your inquiries, and look forward to working with you. 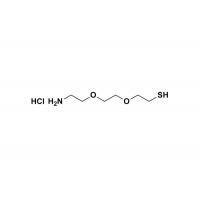 Amino-PEG2-SH Is a Kind of Yellow Liquid PEG Linkers which has a a free ammine group and a sulfhydryl group. 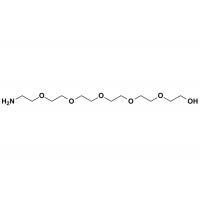 Amino-PEG6-T-Butyl ester With Cas.1286281-32-0 Is For Surface Or Particle Modifications. 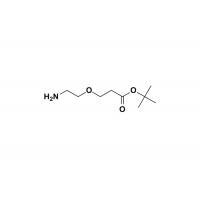 Amino-PEG2-T-Butyl ester With CAS.756525-95-8 Is For Chmical Modifications.